The astonishing Helene Grimaud performed Brahms’ Piano Concerto No. 1 in D minor, Op 15 (1858), with the SFSymphony, Feb. 6, 2014, at Davies Symphony Hall. Ms Grimaud’s performance was powerful, expressive of the deep emotions in the great work. She is a pianist whose affinity for Brahms has offered both wonderful performances and recordings. Listening to the concerto is an intense experience. 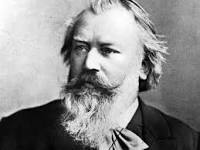 Brahms never dodges the emotions and does not mind calling on the audience to pay heed to the interworkings of piano and orchestra, changes of rhythm, a lyricism which is not soothing. In fact, Brahms does not seem to mind if one is not comfortable.This is edge of your seat music. . The music can swirl like a rip tide in deep water. It has a force which could sweep one away. It brings to mind images for which one might have yearned but never reached. Writers often find autobiographical detail in this concerto. Brahms’ friend and champion, Robert Schumann, had tried to drown himself in the Rhine in 1854. Schumann was sent to an asylum where he died, in 1856. Schumann and his wife, Clara, had 7 children. Brahms spent time visiting Schuman, helping Clara, helping with the children. Brahms and Clara: who knows? Seeing them through 21st century eyes is not so helpful. Yet their devotion to each other and to Schumann was total. So, is it a game to identify which movement is Robert Schumann and which is Clara Schumann and which is Brahms’ sense of loss? Oh, please, let’s not go there! Johannes Brahms was a great, earth-shakingly great composer. He worked with music and invented music. If he wanted to write a play, he could have done that instead. The concerto is about the music. If memories, images, emotions are called into being by it, that is its life. The concerto embraces the intertwining of music, love, and life. Sadness is there because it is real, and Brahms is always real. Ms Grimaud played with feeling completely in tune with Brahms. She spent herself entirely in service of the music. It was an extraordinary performance by Symphony and soloist. This entry was posted in Hedgehog Highlights and tagged Brahms, Clara Schumann, classical music, Helene Grimaud, Henri Dutilleux, La Valse, Lionel Bringuier, Metaboles, piano, Piano Concerto No. 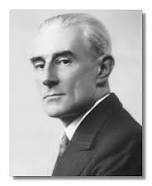 1, Ravel, Robert Schumann, San Francisco Symphony on February 12, 2014 by Leslie.